Dazzling Ocean Vistas, Scarlet Sunsets and Sunny Beaches awaits your arrival at the Luxurious Poipu Kapili, on Kauai’s Sunny South Shore. Your Own Oceanfront Hideaway features an Intimate & Tropical Setting amidst Lush Rolling Grounds and Swaying Coco Palms, as the sound of the Surf and Magical Tradewinds caress your senses. Watch the Sea Turtles frolic in the afternoon sun from the Privacy of your own Designer-decorated condo accented in a deluxe Island-rattan motif. With Privacy & Luxury as our Trademarks, your residence showcases Custom Mahogany Louvered Shutters, Berber Carpeting, complete Entertainment Centers, in-unit Washer & Dryers, expansive Lanais and fully equipped kitchens. While basking in Comfort & Elegance, the property features a Magnificent Oceanfront Pool, Lighted Tennis Courts, magical Gardens where you can pick your own fresh herbs and Poolside BBQ’s while marveling at another beautiful sunset. 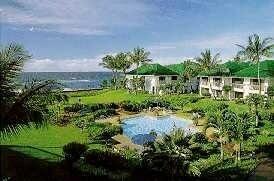 Let the Unmatched beauty of Kauai surround and enchant you at the Intimate Poipu Kapili…the ideal South Shore Vacation Getaway Locale. 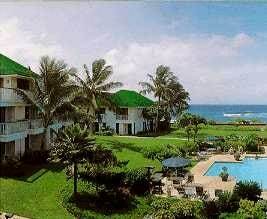 This Intimate South Shore Resort features your choice of luxurious 1-Bedroom Suites that are approximately 1000 Sq. Ft. and comfortably accomodates 4 guests; Or Reserve one of our stunning 2-Bedroom Townhome Residences that are a spacious 1800 square feet and sleeps up to 6. All Linens and Towels are Provided.